Kibran Tours is a private tour operator founded in 1999 with a head office in the Ethiopian capital city Addis Ababa. We are one of the oldest and most experienced tour operators in Ethiopia. We have an extensive knowledge about Ethiopia’s culture, its nature and its people. We are internationally known for our flexibility, reliability and professionalism. Our office staff is young, dynamic, flexible and always open to new ideas. 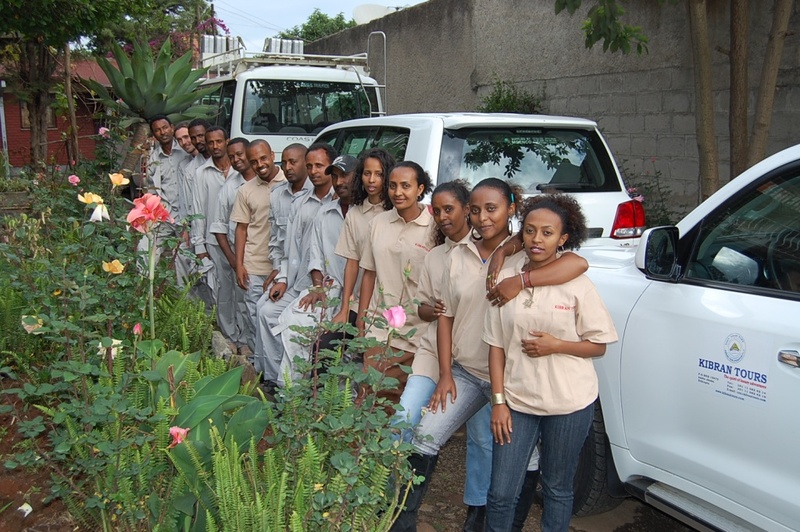 Our management and staff consist of Ethiopians and Westerners, all with affiliation to the country and to its people. We are always there for you to provide information, create and develop programs and itineraries, make reservations and bookings and design your trip according to your wishes, in a detailed and careful way. Our professional guides are among the best in their profession, being well experienced and informed about Ethiopia and its neighbors. We provide fluent English, German, French Italian and Spanish speaking guides, who get along easily with their guests, as they have been exposed to foreign countries and cultures themselves. Our drivers are trained and experienced in road safety and customer caring. They are polite and friendly and always available for help and for questions. In addition to the guides, no one knows the country as well as our drivers. Our local agents provide and support all of our services on the spot, with updated information and assistance for any need. All members of Kibran Tours are passionate about their work and our target is to let our guests have a perfect trip and a stay which will be enjoyable and unforgettable. 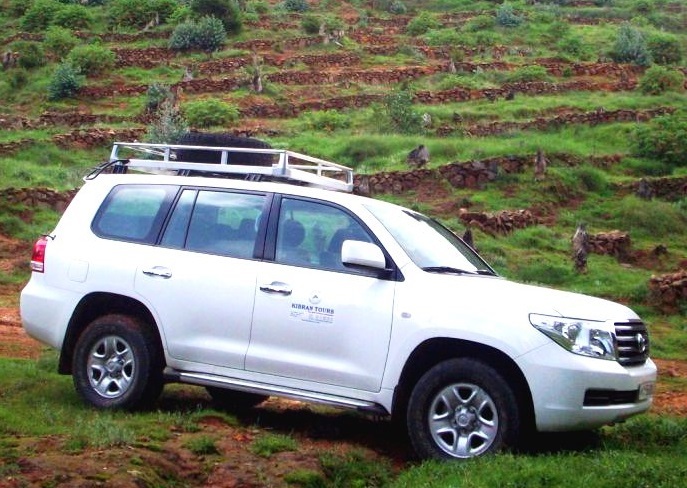 You can explore Ethiopia overland in our state-of-the-art high-class vehicles, which have been tested and maintained to travel on all the various terrains of our country. Our specially equipped BOVA buses are first-class on the road. Extra-wide seats and all other travel bus equipment will make you feel like flying while watching the amazing landscapes through panoramic windows. 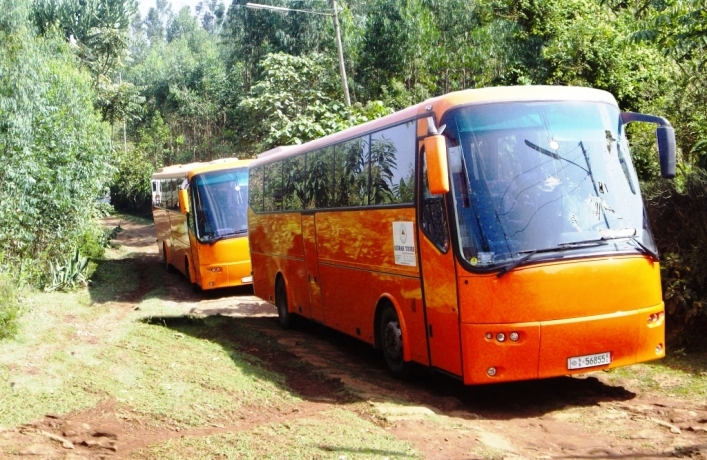 The buses are now available for most of the main connection roads in Ethiopia and for trips to the major historic sites and the bigger towns. Our 4×4 Toyota land-cruisers are the most comfortable vehicles to explore remote areas and hidden treasures, but they are also the choice for high-standard individual travelers and groups for any destination in the country. Our Toyota Coaster vehicles can access almost every road in the country. 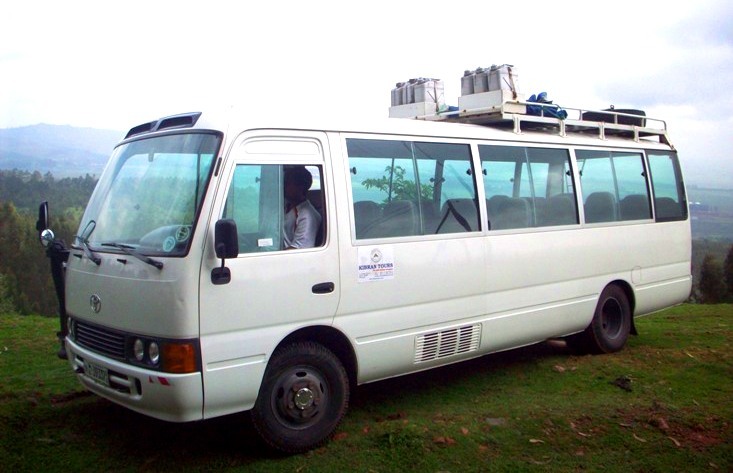 These light medium-sized buses are the ideal vehicles for smaller group, longer overland travels or excursions. We can also provide charter and helicopter flights for extraordinary and comfortable expeditions. We proudly have strong affiliations with the most exclusive, private, luxurious hotels and resorts from around the world. Our company is environmentally friendly, sustainable and respectful of cultures. We will give you an unforgettable experience in Ethiopia.